January 28, 2019 — WASHINGTON–(BUSINESS WIRE)–The American Institute of CPAs (AICPA) today wrote to the heads of the U.S. Department of the Treasury and Internal Revenue Service (IRS) urging “additional and more extensive relief to taxpayers who are unable to adjust their withholding and estimated tax payments for the 2018 tax year” due to the changes resulting from the Tax Cuts and Jobs Act (TCJA). Annette Nellen, CPA, CGMA, Esq., chair of the AICPA Tax Executive Committee, expressed the AICPA’s appreciation for the underpayment penalty relief provided in IRS Notice 2019-11. However, she wrote, the TCJA, which affected millions of individual taxpayers, required an array of changes that required extensive regulatory and administrative guidance. As part of the implementation of TCJA, the IRS adjusted the withholding tables resulting in lower withholding. She explained that the adjusted withholding tables did not account for factors such as the elimination of the personal and dependency exemptions or reduced itemized deductions. As a result, many taxpayers were unable to accurately calculate their tax liability for 2018 and may have inadvertently under-withheld their taxes and potentially face penalties, Nellen stated. 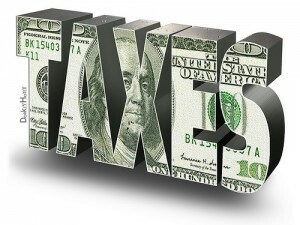 Taxpayers receive relief from underpayment penalties if they paid at least 80 percent of the tax due for the current year or they paid 80 percent (100 percent if their adjusted gross income (AGI) exceeds $150,000) of amount of tax shown on their U.S. income tax return for the prior year. – Taxpayers receive relief from late payment penalties if they make a timely request for an extension of time to file their income tax return and pay at least 80 percent of the taxes owed with the request. – IRS establish an expedited process to grant individuals’ payment penalty relief for reasonable cause due to the considerable uncertainty surrounding the TCJA. – IRS identify specific circumstances for which providing automatic relief of penalties for the 2018 taxable year is appropriate, thus relieving taxpayers of the administrative burden of requesting a waiver of penalties. – IRS provide businesses and tax-exempt organizations relief from underpayment and late payment penalties.